1. Cook rutabagas in a 4 quart saucepan of boiling, well-salted water, uncovered, until very tender, about 20 minutes. 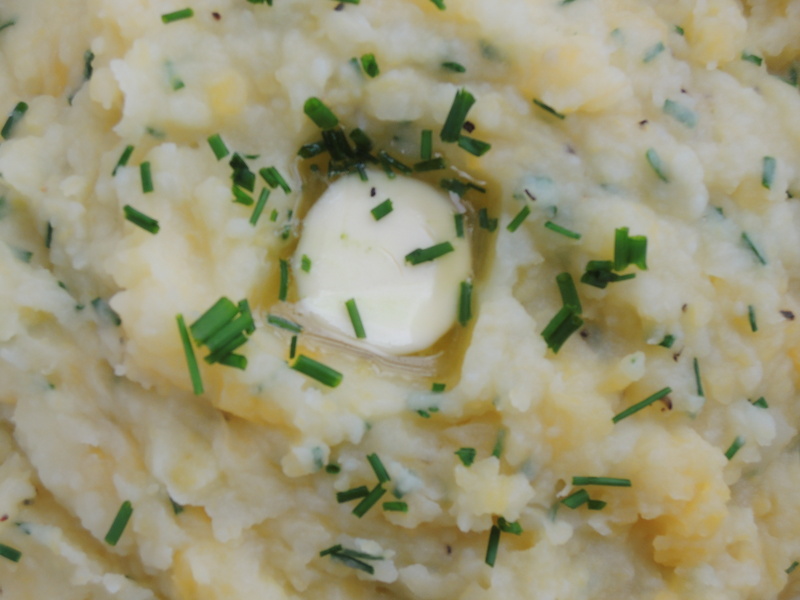 With a slotted spoon, transfer rutabaga to a colander and drain. 2. Meanwhile, simmer potatoes in the same cooking water used for the rutabaga, uncovered, until very tender, about 25 minutes. Drain potatoes in colander. 3. Heat ¼ cup whole milk with ½ stick (4 tablespoons) unsalted butter in the same saucepan over moderate heat until the butter is melted. 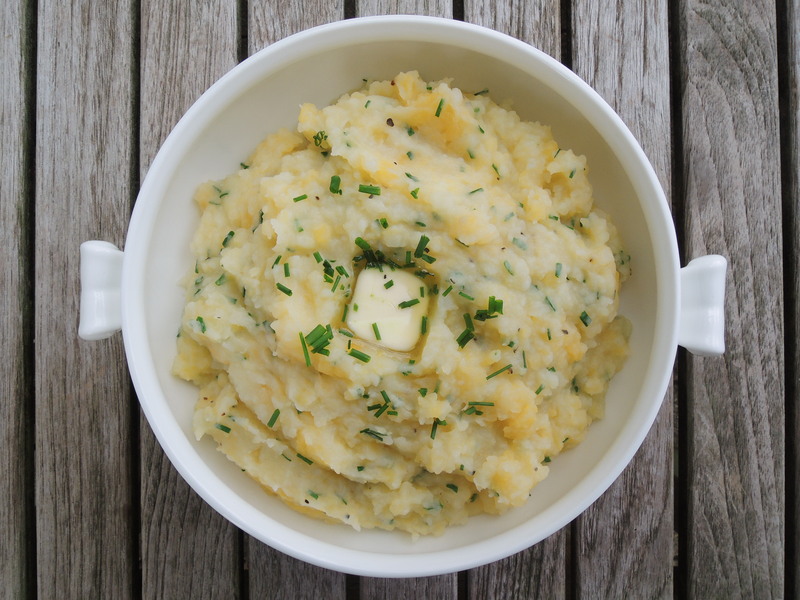 Remove from heat, add rutabaga and potatoes, and coarsely mash with a potato masher. Stir in the chives, ½ teaspoon salt and pepper to taste. Serve immediately. 4. The clapshot can be made up to 1 day ahead and refrigerated, covered. Reheat in a heavy saucepan over low heat, stirring to prevent scorching. Thin with milk if necessary.